Owning an iPhone, everyone swears by its excellent image quality. But, as the collection grows day by day you lose out the free space on iPhone, which might force your iPhone to function weirdly. For that matter, it is important to transfer photos from iPhone to PC. When you want to have a backup of your iPhone photos securely or view on a larger screen, you also need to import photos from iPhone to PC. Though you can import pictures from iPhone to PC, there are photo type restrictions and OS barriers that make the transfer not a good experience. To avoid this and retain the picture quality, dr.fone –Transfer is an apt option for you. Not only transfer pictures from iPhone to PC, but from iPhone to Android as well. Import, manage, and export apps and media files can be done using this software. Fully compatible with all iPhone models, and all Windows / Mac versions. Step 1: Install dr.fone – Transfer and launch it on your PC and then tap the ‘Transfer’ tab. Step 2: Now, connect your iPhone using a lightning cable and hit ‘Trust’ button on your iPhone. Step 3: From the program window, hit the ‘Photos’ tab and preview your data available on your screen. Step 4: You can either choose the specific folder/album from the left panel or select the desired photos to be transferred from your iPhone to the PC. Step 5: After selecting the photos, tap on the ‘Export’ button and from the drop down menu choose ‘Export to PC’. Follow the onscreen instructions to get the photos transferred to your PC. You can then view them in the destination folder over your computer. Watch the video to understand how to transfer photos from iPhone to PC. Do You Know: How to Transfer HEIC Photos from iPhone to PC? High Efficiency Image Container (HEIC) image is a container for HEIF photo format. This functionality is offered by Apple on iOS 11/12 and macOS High Sierra. These photos might not properly open on other platforms like Windows and Android (one of the greatest HEIC drawbacks). But how to actually download HEIC pictures from iPhone to computer? In most cases, the HEIC image can be saved to JPG when you transfer it to PC by tweaking iPhone settings: Settings > Photos > Formats > Automatic. But this way will disable your iPhone to take HEIC photos (a photo format occupying less space and having higher definition than JPG). With dr.fone – Transfer, you don’t need to tweak the iPhone settings, you can easily transfer photos from iPhone to PC or Android device as it automatically converts HEIC images to JPG format. There are multiple Windows services to download pictures from iPhone to computer. But, all the services only transfer the iPhone Camera Roll photos. To transfer other photos, you need to turn to dedicated programs like dr.fone – Transfer. Update your iTunes to the latest version on your computer and connect your iPhone using a lightning cable. Now, launch the Photos App on your Windows 10 PC and hit ‘Import’ from the top-right corner. Choose your preferred photos on your computer and then tap the ‘Continue’ button. This is how to import photos from iPhone to Windows 10 PC. When how to import pictures from iPhone to PC is your concern, Windows AutoPlay feature can come in handy. It automatically runs a DVD or CD inserted into the CD/DVD drive of your computer. You need to enable AutoPlay so that the DVD/CD drives can run on their own. Likewise, when you connect your iPhone to the PC, it will AutoPlay the device storage. Though, this feature comes pre-enabled in computers, you can disable it as well. 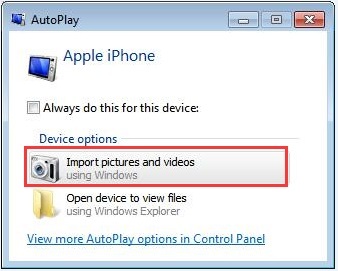 Get your iPhone connected through a USB with the Windows 7 When the AutoPlay popup crops up, tap on the ‘Import Pictures and Videos using Windows’ option. Now, you need to tap the ‘Import Settings’ link on the following window. Define the destination folder by tapping the ‘Browse’ button against ‘Import to’. Select a tag following the ‘OK’ button. Press the ‘Import’ button. Note: Sometimes the AutoPlay doesn’t start up on its own. Try disconnecting and reconnecting your iPhone in such case. 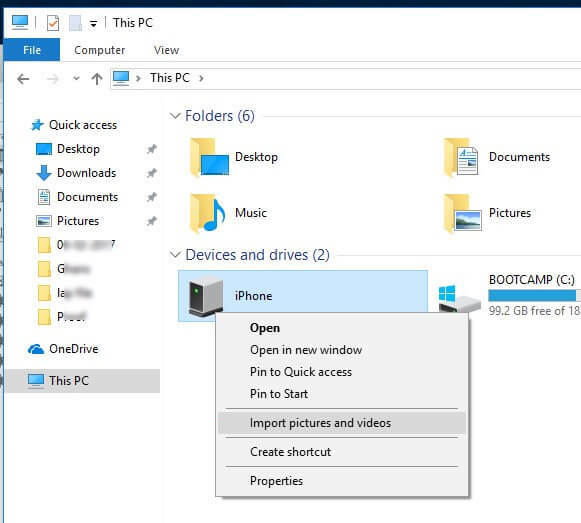 On your Windows 8 PC, connect your iPhone through a USB cable. 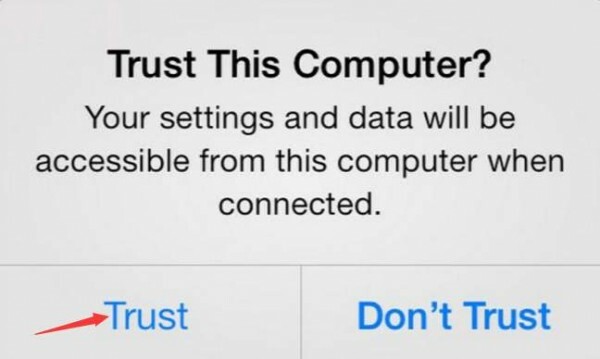 As soon as the computer detects your iPhone, you need to trust the computer to proceed. Click on ‘This PC’ and then right-click on your iPhone followed by ‘Import pictures and videos’. 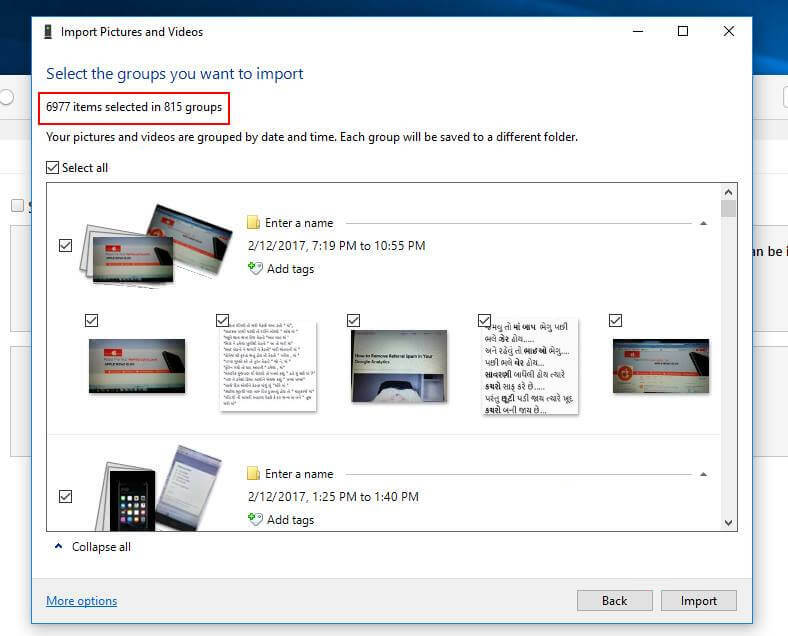 For first time image import, choose ‘Review, organize, and group items to imports’. For later incidences of exporting photos from iPhone, tap ‘Import all new items now’. 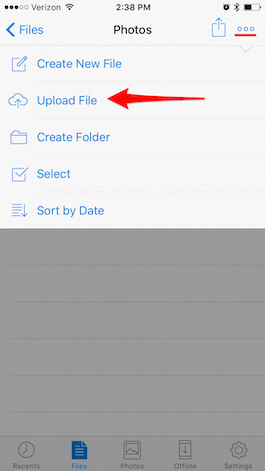 Hit the ‘More Option’ link for selecting the destination folder for your iPhone videos and photos. Press the ‘OK’ button followed by ‘Next’. Pick the desired photos from your iPhone and then tap the ‘Import’ button. Your iPhone is treated as a file system or digital camera by the Windows system. As a result, you can import/download photos from iPhone to PC. 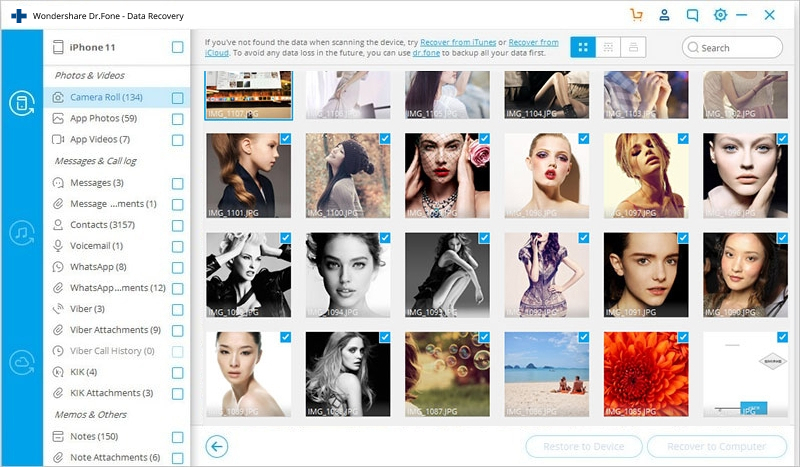 It imports only your Camera Roll photos which are not categorically arranged on your PC. You might learn how to download photos from iPhone to your computer to make the job easy using Windows Explorer. First of all, get your iPhone connected using a lightning cable to your Windows PC. Launch ‘My Computer’ and locate your iPhone under ‘Portable Devices’. Double-tap your iPhone icon and locate the ‘Internal Storage’. Open ‘Internal Storage’ by double clicking it. 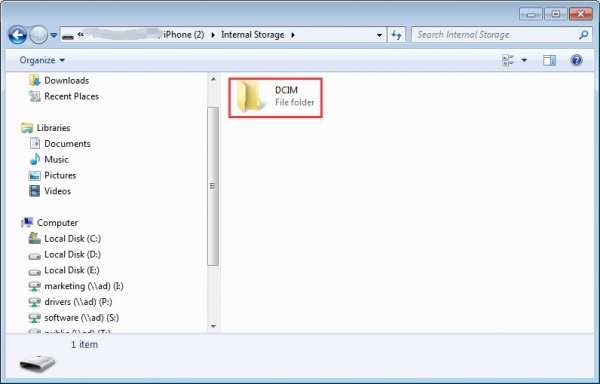 Find the ‘DCIM’ folder (Camera Roll folder) under ‘Internal Storage’ and open it. Open any folder to check the desired photos and then copy-paste them after selecting to the preferred folder on your Windows PC. If you are planning to transfer iPhone Photos to computer, then you need to know how to upload photos from iPhone to Google Photos. You can turn on the automatic sync option and later transfer pictures from iPhone to computer easily by downloading them. You get unlimited space for storing pictures under 16 megapixel size. 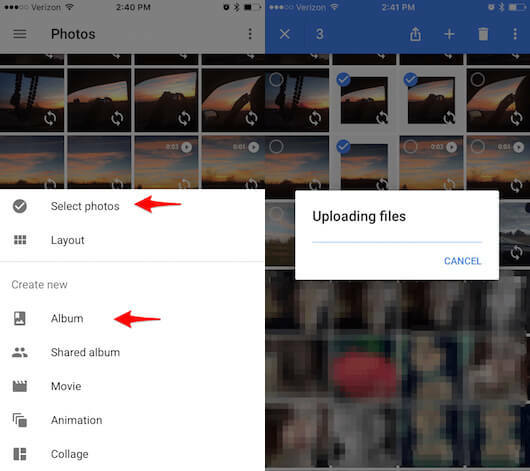 Launch Google Photos app after installing it on your iPhone, and login with your Google account. The app will ask permission to access photos, if you are using it for the first time. Press the ‘OK’ button here. Go to ‘Photos’ and hit the 3 vertical dots from the upper corner. ‘Select Photos’ or ‘Create a New Album’ needs to be selected. After picking the photos, press ‘Done’ for creating and uploading the photos. Rename the album when prompted. Now, click the 3 dots from the top-corner. Choose ‘Back Up’ and upload photos. 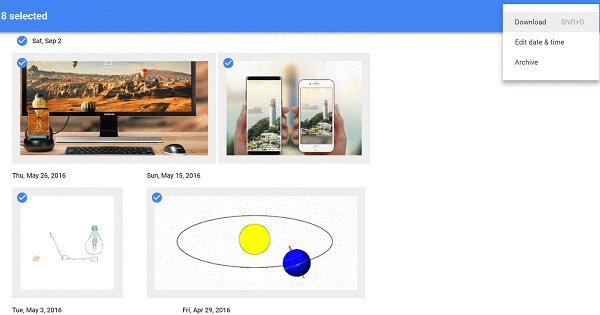 Log-in to ‘Google Photos’ on your PC. From here you can select the desired photos and then click the 3 vertical dots on top-right corner and tap ‘Download’. The photos will be saved in your download folder on your computer. For understanding how to put photos from iPhone to computer using Dropbox, you need to go through this section. You can access documents and photos etc. using this tool from your computer or iPhone. 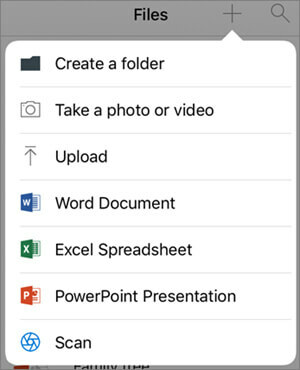 Install Dropbox iOS on your iPhone and login using your existing Dropbox account if you have one. Note: Create a Dropbox account if you don’t have one. Select ‘Files’ and then decide the destination folder. Click on the 3 dots from the top-right corner. Choose ‘Upload File’ and tap ‘Photos’, and then select the desired photos. On your PC, visit Dropbox or download the Dropbox app and then log-in. Go to, the folder you have synced photos in recently. Open the folder and download the photos you like. 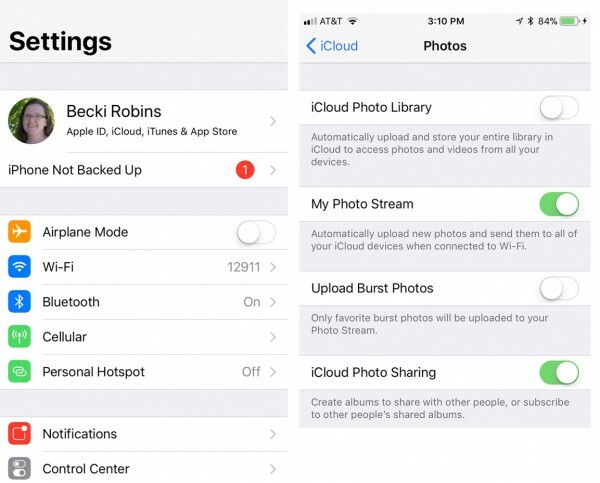 You can transfer photos from iPhone to computer using iCloud Photo Library and manage videos and photos as well as store them on iCloud securely. It will update the photos on iPad, iPod Touch, iPhone, Mac and other Apple products. You can even transfer photos from iPhone to PC using iCloud. 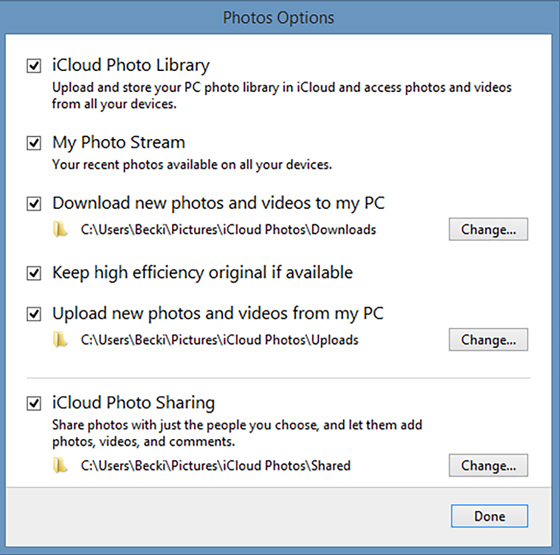 After setting up your iCloud Photo Library you can set automatic download to your Windows PC. iCloud For Windows is used to complete the process. On your iPhone, turn on iCloud Photo Library and then go to ‘Settings’. Click ‘[your name]’ and then ‘iCloud’. Browse ‘Photos’ and turn on ‘iCloud Photo Library’. It will store all photos on iCloud. 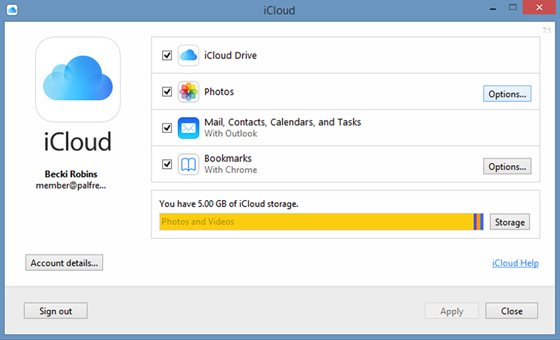 Download iCloud For Windows from Apple’s official website and launch it after installation. Login using your Apple ID that you have logged on your iPhone. Mark the checkbox against ‘Photos’ and tap ‘Options’, right next to it. Select ‘Download New Photos And Videos To My PC’ to set automatic download. Now, hit ‘Done’ and ‘Apply’. 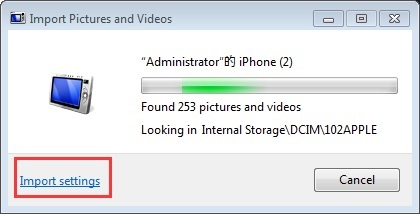 Under Wi-Fi network, whenever there are new photos on your iPhone, a copy of photos from iPhone to PC will be saved. You will find these photos under ‘File Explorer’ > ‘iCloud Photos’ > ‘Downloads’. To download photos by year, choose ‘Download Photos And Videos’ > select photos > ‘Download’. Do you know how to import photos from iPhone to PC using OneDrive? OneDrive is a Microsoft product that means for managing and synchronizing files across devices. You can upload a file onto OneDrive and then copy pictures from iPhone to PC without much hassle. We have given here the guide to download pictures from iPhone, so that you don’t have to worry much about it. Install OneDrive app on your iPhone and launch it. Create your OneDrive account and note the credentials. 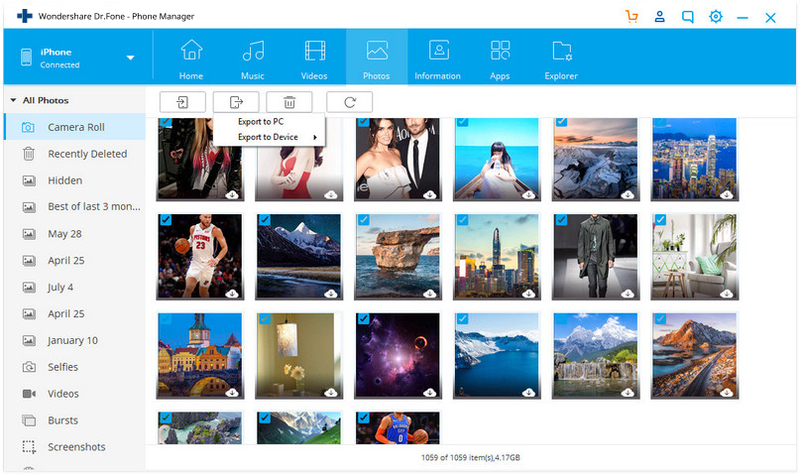 Click on the ‘Add’ button from the top of the screen and create a folder, take a photo, or upload an existing one. For example, tap ‘Take a photo or video’ > allow OneDrive to access camera > ‘OK’ > Save picture in OneDrive. Tap ‘Upload’ > select photos from iPhone > upload > ‘Done’. 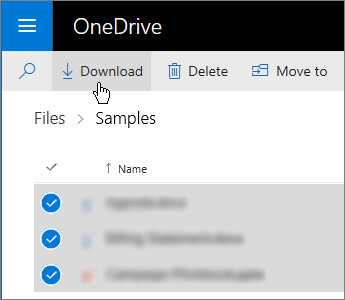 Now, go to your computer and open the OneDrive site > Folder options > ‘Download folder’. From the downloaded zip file, extract the photos on your PC. Private photos are set as hidden. Photos used by apps are not directly accessible. If you are worried about how to download photos from iPhone to PC when they are hidden, it’s better to opt for dr.fone –Recover. It can scan all the hidden, app, and, of course, common photos in iPhone storage, and then download the pictures from iPhone without hassle. When it comes to data security and high success rate in recovery, you can always vouch for dr.fone – Recover. Not only iPhone, it can get photos from iTunes and iCloud as well. It supports the latest iPhone models and iOS version in them. You get to preview all the hidden photos to decide whether to transfer to PC or not. The existing data doesn’t get overwritten when you save photos from iPhone on your computer. It also recovers data from a broken, jailbroken, ROM flashed, factory reset, iOS updated device that lost data. Step 1: Install dr.fone – Recover on your computer and launch it. Tap on the ‘Recover’ tab afterwards. Note: Ensure that the iTunes has been updated prior to this activity and turn off the auto-sync to prevent any kind of data loss, and prevent recovering the deleted iPhone data. Step 2: After connecting the iPhone through USB, trust the computer on it. When the software detects your iPhone, the various data types will be displayed on screen. Step 3: Select the ‘Photos’ and ‘App Photos’ in the lower zone, click on ‘Start Scan’ button and then scan the hidden photos on your iPhone. From the preview, you can select ‘Photos’ or ‘App Photos’ from the left panel. Step 4: Now, after selecting the individual photos, press ‘Recover to Computer’. With the aforementioned tutorial, we now have understood how one can also transfer App and hidden Photos from iPhone to PC with dr.fone– Recover. You can even recover photos or pictures from social apps like WhatsApp, Kik, WeChat, etc. by scanning them with this tool. From this article, we’ve known how to download pictures from iPhone to PC. Now, it is up to your convenience to choose the most suitable way from the aforementioned methods. Also, bear in mind that not all PCs support HEIC format. Opt for a tool like dr.fone - Transfer and dr.fone - Recover that do both conversion and transfer of HEIC pictures simultaneously. That will help you to save a whole lot of time and that too, in a hassle free way.